The text was required for my historical linguistics class. The book is actually smooth and not a burden to read. I think it is relevant for people thinking of teaching a second language to students. 2. Linguistics of American Sign Language: An Introduction, 4th Ed. 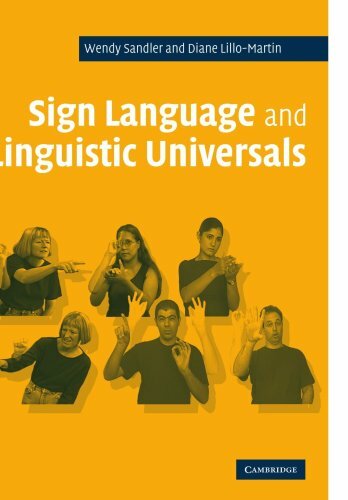 Featuring a completely revised section on morphology and syntax, 18 new and updated readings, and new homework assignments based on the accompanying DVD, the fourth edition of Linguistics of American Sign Language expands its purview as the standard introduction to ASL linguistics available today. The newly revised section offers new units on verbs in ASL, simple sentences in ASL, classifier predicates, syntax, and basic sentence types. The fourth edition also features groundbreaking research on iconic signs in ASL and the relationship between metaphor and iconicity in signed languages; variation in ASL; the different functions of space in ASL; and the artistic forms of ASL, including storytelling, percussion signing, drama, comedy, and poetry. Updated references and expanded readings delineate all of the linguistic basics, including phonology, semantics, and language use. The fourth edition also provides new homework assignments that correspond to the ASL stories signed on the special DVD enclosed with this new volume. 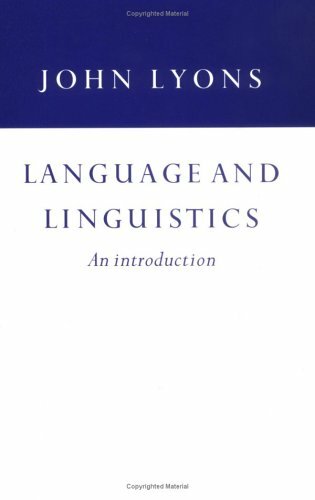 If you are going to take only one linguistics class, and it has to be on the linguistics of signed languages, then this is an adequate text on the subject. If, however, you are trying to be a little better-rounded, I'd recommend reading a non-sign-specific Intro to linguistics text -- one that covers the basics primarily with spoken languages in mind -- then read the fundamental papers covered in Valli et al. My reasoning behind this is twofold. First, the general linguistics component of this book is pretty weak, and appears to owe a lot to Language Files. Second, this text was designed for use at Gallaudet University, which seems determined to repeat the sins of other, more traditional programs, only through their particular looking-glass. Most linguistics departments are guilty of working with only half the data, namely the spoken languages of the world, in spite of the fact that signed languages have been acknowledged as fully-fledged languages for decades. Gallaudet's remedy? Only cover the other half of the data. If the goal of a general linguistics course of study is to get a broad picture of Language in its diversity, neither approach is sufficient -- and I would extend that to ASL/English (or ASL/Spanish, etc.) interpreters, as they need to speak and think intelligently about *both* their working languages. It was shipped earlier than the date listed on the site. Product is in great condition. Completely no hassle! 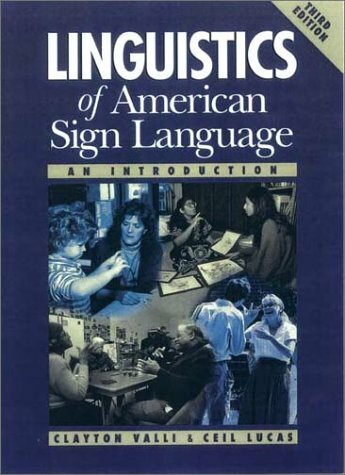 This is an excellent book to understand the meaning of ASL and to analyze it.It is NOT a how to sign book, it is for those who know ASL at an intermediate level at least.It is a very interesting book and covers ALOT of information, but the homework activities included help absorb the information.It challenges your thinking. I do suggest that you only read this book if you are really serious about ASL.It is a good book for those learning to be interpreters. 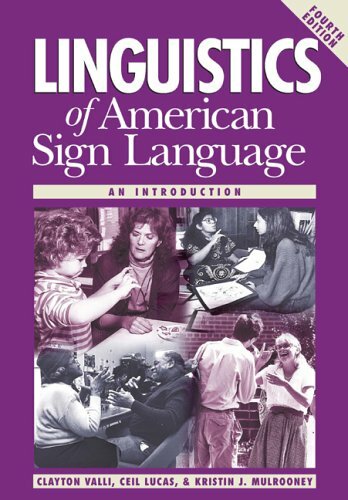 This book goes over the structure of ASL such as the phonological, morphological, syntactic, semantic and sociolinguistic structures.It teaches you how to think critically about ASL linguistics so you can have a better understanding of the structure as well as the history of the language, NOT a history of the people who use the language, but a history of the language itself and its changes from as early as the 1960's, by looking into the research linguists have done and are doing. The Linguistics of American Sign Language explains the morphology and syntax of ASL, not so much the 'how' as the 'why. 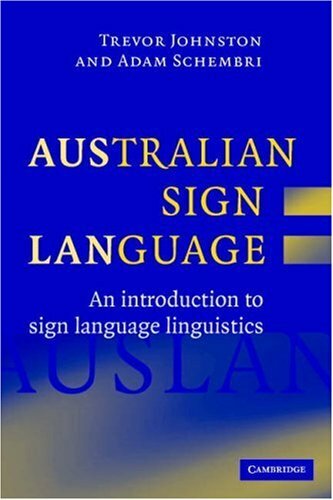 'This book is useful for the advanced student of ASL, but not particularly helpful for a beginner.The authors, all current or former professors at Gallaudet University, explain in great detail the nuances of American Sign Language. A magnificent introduction and reference. Here is the captivating story of humankind’s enduring quest to build a better language—and overcome the curse of Babel. Just about everyone has heard of Esperanto, which was nothing less than one man’s attempt to bring about world peace by means of linguistic solidarity. And every Star Trek fan knows about Klingon. But few people have heard of Babm, Blissymbolics, Loglan (not to be confused with Lojban), and the nearly nine hundred other invented languages that represent the hard work, high hopes, and full-blown delusions of so many misguided souls over the centuries. 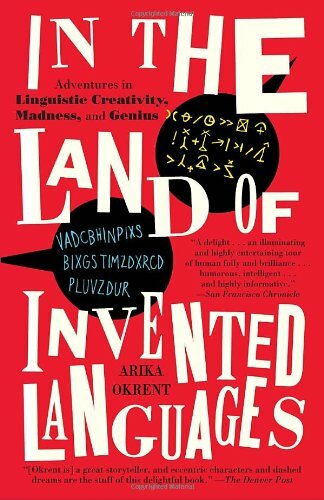 With intelligence and humor, Arika Okrent has written a truly original and enlightening book for all word freaks, grammar geeks, and plain old language lovers. This is an entertaining book that covers the history of invented languages back to medieval times. Okrent covers the fads and fallacies that motivated hundreds of language inventors in the 18th and 19th centuries, the many attempts to create a "universal" language in the 19th and 20th centuries (including, of course, the most famous one, Esperanto), and naturally includes chapters on Elvish and Klingon as well. This is a book about history and pop culture, not a serious linguistics text. It's pretty comprehensive and a fairly light read, though a bit dry at times. If you have an interest in linguistics, and especially if you've ever indulged in "conlanging" yourself, you will enjoy it. Some of Okrent's personal anecdotes felt like padding to fill out the book, and the appendices in the back were definitely padding. "A Nudist, a Gay Ornithologist, a Railroad Enthusiast, and a Punk Cannabis Smoker Walk into a Bar..."
John V. KaravitisI came across this gem of a book in a review that I read on the Internet.I couldn't get my hands on a copy fast enough, and my efforts were greatly rewarded.Arika Okrent, a double-PhD in Linguistics and Psychology, takes us on a historical tour of "invented languages", i.e., artificial languages.I had no idea that so many people over the centuries had gone to, and continue to go to, such extreme lengths to "take care of" natural languages' perceived faults.Starting with Hildegard von Bingen, a 12th century nun, and continuing to the present day, Dr. Okrent shows that the fervor to perfect human language has never stopped.We see three main periods of artificial language contruction:(1)the 1600s, where John Wilkins' attempt may have led to Roget's Thesaurus 200 years later;(2) the 1800s, which saw the birth and rise not only of Esperanto, but also modern-day Hebrew (!) - and both from the same historical causes; and (3) the modern age, where the Sapir-Whorf Hypothesis in the 1950s led to Lojban today, and where Blissymbolics stands out as a partial success.Dr. Okrent takes the reader on a tour of the centuries, ending with her successful attempt at learning basic Klingon.At the end is a list of 900 of these artificial languages, along with examples of the Lord's Prayer and a section of the Bible dealing with the Tower of Babel, both translated into some of these artificial languages.As Dr, Okrent herself states, even though language is seen as imperfect and messy, every natural language is part of some human society and some particular culture and time.Our languages are messy because they rely on the speakers negotiating terms and meanings, and they also rely on situational context.Perfect man-made languages have good intentions at heart, but ultimately fail as they try to anticipate and write down in stone every possible situation and idea (e.g. Lojban as the most extreme example of this).As those of us who live and breathe in the real world know, language will always be messy.But if you want to "explore the possibilities", it makes for good fun!I enjoyed this book, I rate it FIVE STARS!John V. Karavitis, John Karavitis, Karavitis, KC9ISD, YouTube, MySpace, Twitter, Facebook, BigSight. This is a great introduction to constructed languages written by a skeptical practitioner, who has actually made the effort to begin learning several of the most popular languages and thus brings a realistic perspective to the topic. Okrent is neither a propagandist nor a scoffer, and she presents each language with wit and accuracy. I especially appreciated her treatment of Esperanto, warts and all. Great book. I found this book delightful, a very enjoyable read. That's no doubt in part because I've played with conlangs myself, and have corresponded with, or in one case shaken the hand of, some people mentioned in the book. This is a journalistic exercise in exploring the history and modern existence of a subculture, the subculture of language-makers. Any good journalist could write a sympathetic, entertaining book about modern-day Klingon- or Lojban-speakers, but only a journalist who is also a linguist could really dig in and understand what they and other language-makers are trying to do. Only a linguist can really appreciate and convey the near-obsessive level of effort required to make a new language, or the joy it can bring to its maker. And only a linguist who is a dedicated researcher could explain the history of language-making, and properly relate the efforts of, say, a Wilkins to a Zamenhof to a Brown. Okrent has done the hard slog of journalism, going to the conventions, meeting and interviewing the survivors, digging up the original documents and the period press reports. She's also done the slog of academic research, finding the primary source materials in university libraries and the Library of Congress and immersing herself for days at a time in study of the early languages. Finally she has put her materials together in a highly readable, amusing, intriguing account of the people, and the very human process, of creating language from whole cloth. This book is terrible on many levels. First, it is more of a pop-science polemic than a fair treatment of the material discussed. Okrent panders to the demographic that will scoff at constructed languages, and tries to sell her book by laughing at others' expense. She includes languages in her chapter "A History of Failure" that don't belong there; for example, Lingua Ignota was never intended to be used by anyone but its creator, so it cannot rightly be called a failure. In addition, Okrent makes Esperantists out to be crazy, and although she sympathizes with them to some extent, a large section of the book deals with the so-called "failure" of Esperanto. Esperanto is a living language spoken by a vibrant community of 2 million people across the entire world, and is anything but a failure. Okrent also seriously neglects the vast majority of constructed languages: artistic languages, designed not for serious use or to facilitate international communication, but for the aesthetic pleasure of the creator. Tolkien and the hundreds of other "artlangers"--whether famous or unknown--are crammed into a few pages in the last chapter, despite the fact that artlangs account for some of the most interesting and important constructed languages. The content is substantial, well organized, and visually appealing. The author does an outstanding job in connecting the material to real-life issues. For use as a textbook, ideally it should have more exercises and questions for students. The "student activities" section at the end of each chapter merely points the reader to the companion workbook, which admittedly has some great stuff, but too often the exercises in it are just "go to these websites and write an essay about them". the book came in great timing and had the marks and everything that were in the description! It was a great price for the book and the seller was awesome about description and timeliness. This explains all of the hows and whys of ASL.This book hit on challenging topics like morphology.The passages and lessons were interesting. 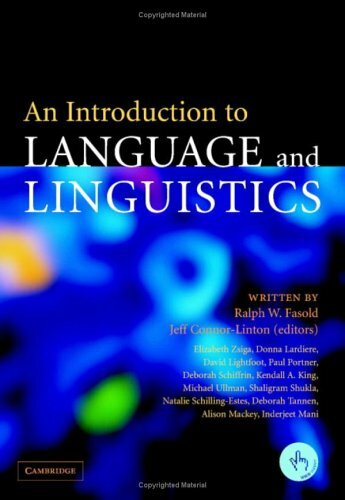 I'm an ITP student, and this is the textbook for our linguistics class.It's great.Don't expect to learn any sign from it though, this book assumes you already have a beginning level vocabulary.The book starts out with an introduction to Language and linguistics and progressively gets more difficult it it's exploration of ASL structure.Basically this book informs you as to why you do the things you do while signing.A must read! language varieties from pidgin to standard language. 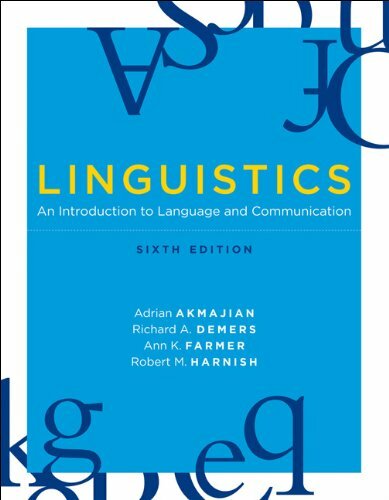 This fully updated second edition includes a new introduction, a wide range of new entries (reflecting developments in linguistics) and added specialized further reading for lecturers and more advanced students. 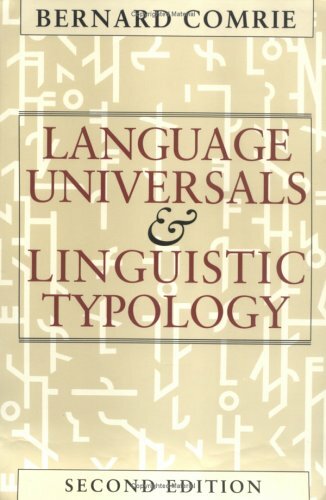 This popular introductory linguistics text is unique for its integration of themes. 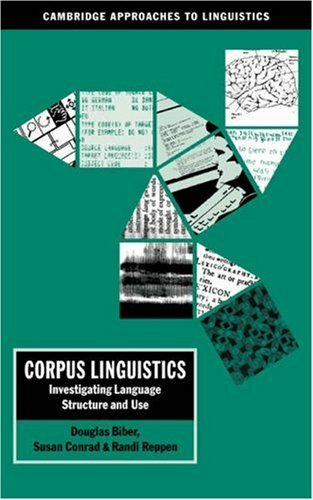 Rather than treat morphology, phonetics, phonology, syntax, and semantics as completely separate fields, the book shows how they interact. 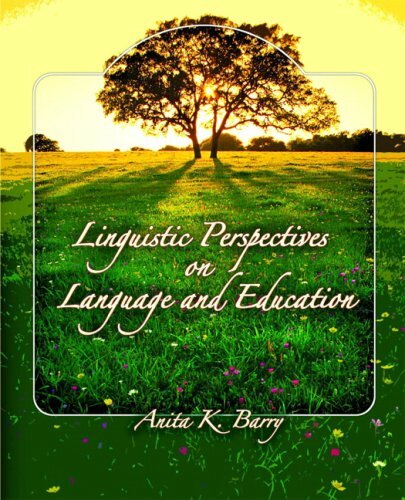 It provides a sound introduction to linguistic methodology while encouraging students to consider why people are intrinsically interested in language—the ultimate puzzle of the human mind. The text first treats such structural and interpretive parts of language as morphology, phonology, syntax, and semantics, then takes a cognitive perspective and covers such topics as pragmatics, psychology of language, language acquisition, and language and the brain. For this sixth edition, all chapters have been revised. New material includes updated examples, new special topics sections, and new discussions of the minimalist program, semantic minimalism, human genetic relationships and historical relationships among languages, Gricean theories, experimental pragmatics, and language acquisition. This is a great book... I had to read it in a period of 9 weeks; and that is a lot for me, I like taking my time, but with this book I only wanted to keep going. The definitions were simple and I did not have to go back and read again because I got lost somewhere in the text. This is the second edition and fourth printing of this popular text by Akmajian, Demers, and Harnish at the University of Arizona. Although this text is now over 15 years old, it's still a fine introduction to the subject. One nice thing about the book is that the prose is not too technical for the beginning reader while providing excellent coverage of the important concepts and technical points. This is often a problem with linguistics texts since, unlike other technical subjects, most people have little or no background in linguistics before taking their first real course in the subject, and having previously learned a foreign language isn't as helpful as many students might think since much of linguistics, especially in the transformational grammar and generative grammar and analytical syntax areas, is a highly technical, formal, and even mathematical discipline now. As I am mainly a neuroscientist and secondarily a linguist, I was most interested in Part 3 of this book. The first two parts present the usual linguistics topics such as phonology, morphology, syntax, semantics, language variation, and evolution. Part 3 deals with the area of Psycholinguistics, and there are four chapters discussing language from the standpoint of Cognitive Psychology and Neuropsychology. The four chapters are: Pragmatics: The Study of Language Use and Communication; Speech Production and Comprehension; Language Acquisition in Chimp and Child;, and Language and the Brain. The chapter on the brain might be a little too basic for neuroscience students, but it's an excellent introduction for the linguistics students, and I noticed that a number of the classic experiments such as the famous "Wada test" and dichotic listening experiments were discussed, as well as topics like conduction aphasia, Broca's aphasia, Wernicke's aphasia, hemispheric localization and dominance, and so on. Overall still a fine text and worth picking up used if you can find it, when it will be bargain for the price. Most of us don't give much thought to the deep structures of the language we use every day, or how we develop such a marvellous tool.We just speak.We may marvel at the speed and ease with which babies acquire language.We may idly wonder about other languages when visiting some exotic country. "The Language Instinct" by Steven Pinker is a useful book for readers who are curious about language.Pinker explains recent discoveries in linguistic theory and discusses such things as language genes and signing chimps. He also answers some common questions, such as why there are so many languages, why they are so hard for adults to learn and why no one seems to know the plural of "Walkman". Pinker's central theme is that language is an instinct like many other instincts; it is not a purely cultural invention.Pinker is not the first to suggest this.Darwin also put forward a similar idea.However, the most famous proponent of a language instinct is Noam Chomsky, who is mostly responsible for the modern revolution in linguistic theory. While the idea of an instinct for language might be jarring to many of us, it does not mean that we are all automatons.In fact some sort of instinct for language is obvious when we think about it.Language is highly logical, even the "ungrammatical" argot of street gangs, pidgins and creoles. We don't learn to reason from a book, we just "do" it.Reasoning/logic is an intrinsic part of human thought, so obviously our brain has some sort of organisation that produces the ability to reason.Logic is not some innate property of the universe - it is a product of the mind that has evolved because it is incredibly useful to making sense of the world and for planning.Why not language as well? Until recently, there was no sign language in Nicaragua.In 1979 the first schools for deaf children were set up.Children started to invent their own sign system in playgrounds and on the buses.Gradually, their original "pidgin" sign language developed its own grammar ad spread to other deaf children.Today it is recognised as a fully functional sign language.This is only one remarkable example of our innate capacity for language. Creoles and pidgins that emerge when two language groups come into contact provide other evidence of the mutability of language.Even single languages are remarkably fluid.This is not apparent in the lifetime of a single individual, apart from the introduction of new words (eg "email") or new meanings for existing words (eg "gay"), but over decades or centuries remarkable changes can occur.The English of Shakespeare is comprehensible, although a little odd, to most people; but the English of Chaucer is virtually incomprehensible to all but scholars. Pinker discusses many other remarkable cases of language acquisition, especially in children.Children go through very specific stages of language acquisition in their early years.These stages, and how they occur, teach us a great deal about language in general. He also discusses recent insights into language derived from studies of people who develop highly idiosyncratic language defects following injury to specific parts of the brain.Such studies are especially useful because the brain is largely an invisible "blob. "It is not like, say, a dog.We can see that dogs have tails, fur, teeth etc, but we can't see the subtle structures of the brain, so it is hard to intuitively figure out how language works in terms of the detailed structures of the brain and how it might have arisen. Pinker inevitably has to grapple with the technical jargon of formal linguistics in presenting his arguments.There are many Chomskian linguistic diagrams in the book that can be a little daunting to non-linguists.While the more technical explanations require close attention from the non-specialist reader at times, the book is by no means difficult for general readers. The Chapter on "The Language Mavens" is a self-indulgent parody of various "language police" and is unworthy of the book.Pinker takes gratuitous shots at people who may be pedants when it comes to preserving formal aspects of language and spelling, but who nevertheless perform a useful service in drawing attention to the "proper" use of their language.Why devote a whole chapter to poking fun at them? But that is a minor quibble. Pinker's book gave me wonderful insights into the language I love, English.The other day while out walking, I heard a young boy of about 5 or 6 say to his Dad "I want to walk fastly. "Pinker's book explains why he made that specific error, and what it says about how we acquire the logic of language and of its irregular constructions. The book is very interesting and well written.Steven Pinker is an excellent writer. I am enjoying the book very much. How many books have I read in six decades?Certainly more than a thousand. "The Language Instinct" is among my favorite half dozen. I have taken my copy on many trips including fifty mile back-packing trips where it served as the only written entertainment. Another figure of merit is number of re-reads.The book succeeds on both accounts. (detailed at my website (Google "Bob Blum" ). This was the book that rightly catapulted Pinker to fame as an a-list expositor of science along with Carl Sagan, Richard Dawkins, Stephen Jay Gould, and Daniel Dennett. the fine points of neurolinguistics, the rest of us get to enjoy a masterful and delightful presentation of how language works.I have read all of Pinker's works.This is still my favorite. I have to say, I really did like Pinker's book. This book the first of its kind that I have ever read so it may not be right for me to comment. However, I found the subject of language acquisition intriguing. Interesting case studies were revealed, however, I would say that maybe too many cases were offered. The writing style is extremely clear and it is a bit humorous. Toward 3/4 through the book, I began to get a little bored, but, again, I must admit that it is mostly because I did not understand the information that he was communicating. (Like I said, I have never read a book like this before.) Particularly interesting was the chapter on the Big Bang theory and how internal grammar structures within an individual can be harmonized with Darwinian evolution. This I found most interesting. However, in my opinion, Pinker did not answer this harmonization with a definite appeal to serious questions raised. It may be the case that I just did not understand what Pinker was implying, but as far as I'm concerned, only half of the questions raised in my head were answered. However, all in all, I found this book to be a helpful started in this area of study. Pinker uses an array of sources and draws from interesting material. 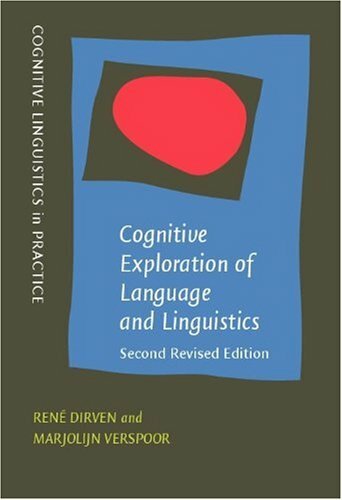 I would recommend this book to anyone interested in learning more about the complexity of language formulation and internal cognitive processes which affect language. 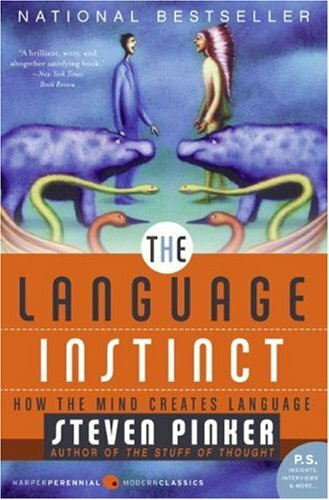 As someone who has had a fascination about languages, this book was the perfect choice for my undergraduate neuroscience class--it's objective is to elucidate how the mind creates language. The prose is extremely well-written and complex ideas clearly explained. Pinker takes the reader on a very fun and thought-provoking journey, providing fascinating insights for both the casually-interested reader and linguists alike. I will highlight on some key points presented throughout. The first sections illustrate the key themes that Pinker will elaborate on throughout the rest of the book. He presents language as being an evolutionary adaptation that is unique to humans, just as much as a trunk is an adaptation for elephants or sonar for a bat. It is an instinct that we innately are born with. One of the myths about language is the notion that language is taught or transmitted, whether from mother to baby, or from one civilization to another. In actuality, children seem to be born with "Universal Grammar," a blueprint for all grammars on earth. "Virtually every sentence is a brand new combination of words. Therefore a language cannot be a repertoire of responses; the brain must contain a recipe or program that can build an unlimited set of sentences out of a finite list of words (9)." Likewise, there has yet to be a civilization found that is devoid of language. For example, a group of a million people had inhabited an area isolated from the rest of the world in New Guinea for forty thousand years, yet had independently developed their own language, as discovered when first contact was made in the 1920s. Another important concept presented is "mentalese", a euphemism for a theory of thinking known as "computational/representational theory of mind." It essentially negates the common myth that thought is dependent on language and its corollary, that since people of different backgrounds than us have different languages, they must think differently. There is thought to be a universal "mentalese," and to "know a language" is simply being able to translate mentalese into strings of words in that language. The second section of the book is a comprehensive summary of the basic parts of language, with plentiful information regarding syntax, phrase structure, morphemes, and more. A key point made is the recent discovery of a common anatomy in all the world's languages, called "X-bar theory." With the general set of rules, children do not have to "learn" lists and lists of rules for each language via rote memorization, but are born knowing the linguistic framework. They are then able to go from speaking a few isolated words to complex yet grammatically coherent sentences in a matter of months. In the next section, Pinker introduces the concept of the "parser", which is the mental program that analyzes sentence structure during language comprehension. Grammar is simply a protocol, which does not necessitate understanding. In a nutshell, as the person reads a sentence, the parser will group phrases, building "phrase trees", consistent with linguistic rules (for example, a noun phrase is followed by a verb phrase). It is interesting that grammatically correct yet poorly constructed sentences can cause a person great difficulty in comprehension--the rationale is that the parser will not present the person with the correct phrase tree, among copious possible combinations. Pinker goes on to describe the differences between languages. Despite grammatical difference between languages, such as subject(S)/verb(V)/object(O) order (SVO, SOV, etc), fixed-word-order/free-word-order (if phrase order can vary or not), there are striking similarities. The most prominent are implications--if a language has X, it will have Y. For example, if the basic order of a language is SOV, it will have question words at the beginning of the sentence (234). Pinker cites three processes that act on languages that result in the differences that we see evident in languages today: innovation, learning, and migration. For example in the case of migration, though the roots of English are from Northern Germany, the existence of thousands of French words in English is the legacy of the invasion of Britain by the Normans in 1066. One of the most broad-reaching relationships between current modern languages can be traced back to the possible existence of a proto-Indo-European language, whose modern-day descendents span from Western Europe to the Indian subcontinent. Over the final chapters, Pinker elaborates on the amazing explosion of language acquisition in children during their first three years. He explains the significance of Broca's and Wernicke's in language, by examining different cases of aphasia with patients having damage to those areas. Our current understanding of the brain does not allow us to be able to predict what the impact of damage to these areas are from patient to patient--it is frequently witnessed that patients with damage in identical places to these areas have different types of aphasia. As a final note, Pinker makes a distinction between prescriptive rules, such as grammatical rules that we are taught in school, and descriptive rules, the way people actually talk. In response to the former, he makes a claim that using non-standard English such as "I can't get no satisfaction" versus the standard English "I can't get any satisfaction" is not wrong linguistically, as it is simply a different dialect with an internally consistent grammar. The evident double-negative (which is "wrong" in standard English) is simply a remnant of Middle English, where double-negatives were ubiquitous. As long as the grammatical rules of any language are consistent and systematic, as in the seemingly wrong non-standard English, they follow the descriptive rules and are linguistically correct. Overall, The Language Instinct is a great read for anyone even remotely interested in the topic. The scope is immense, from basic linguistics, to language development, to language evolution, to genetics, to overall mind design. In addition to being introduced to very important linguistic concepts, you will have an amazing amount of entertaining examples to share in any setting. 1st of all, historical/comparative linguistics is not something for beginners. historical linguistics in itself doesn't start in college until the 300 level; that means you probablly should have 3 or 4 linguistics classes under your belt already. 2nd historical linguistics is a mountain to climb as it is. without a teacher i don't think anyone could obtain a thorough understanding. 3rd i personally met brian joseph and that guy knows his stuff. I'm not getting down on the other comment but you gotta crawl before you walk and this is no beginner's book. 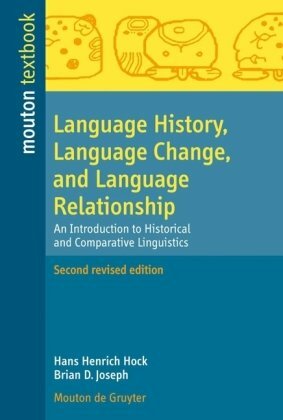 LANGUAGE HISTORY, LANGUAGE CHANGE, AND LANGUAGE RELATIONSHIP is an introductory textbook to historical/comparative linguistics by Hans Heinrich Hock and Brian D. Joseph. It began as a simplification of Hock's widely respected handbook Principles of Historical Linguistics (De Gruyter, 2nd ed. 1991). Around 85% percent of the content is Hock's distillation of previously written material, while the remaining 15% was contributed by Josephs to, in the publisher's words, "give a fully American perspective". Joseph's contributions are most readily visible in the treatment of the Balkan Sprachbund, one of his research interests. 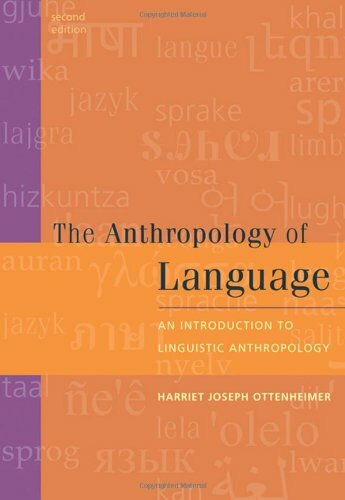 For about the first 130 pages, this textbook is a fairly admirable introduction to historical linguistics for neophytes, containing remarks on the general phenomenon of language change (i.e. the difference between the Lord's Prayer in Old English and in Modern English), a basic introduction to phonetics and phonology, and an explanation of the divergence of the Indo-European languages. There's even a chapter on writing systems here, which the other introductory textbooks I'm familiar with tend to overlook. Hock's examples are generally drawn from the Indo-European languages, and he seems to assume that the reader will be focusing on this language family. The book may now seem a little dated in its treatment of the glottalic hypothesis as a raging controversy, as that seems to have died down, but the reconstruction of Proto-Indo-European generally follows contemporary mainstream lines. From the sigils of chaos magic to the numerical code of Qabalah, all magical practices operate in a web of symbols and language. Yet academics seldom examine the role that semiotics and linguistics play in the unfolding of magical works. In the follow-up to his debut Postmodern Magic, Patrick Dunn returns once again to the theoretical realm of the sign, the signified, and the changeable perceptions of a slippery reality. Intellectual and aggressively modern, his language-driven perspective on magic touches on all elements voiced and written, from speaking in tongues and creating mantras to composing Enochian spells and working with gematria. A hefty appendix includes exercises that put Dunn's theories to work, as well as the first published dictionary of English alphabet numerology. Highly literate and highly readable, Magic, Power, Language, Symbol will tickle the minds of theory-thirsty academics and seasoned mages alike, as well as anyone else eager to examine the manufacture of meaning. Professor Dunn returns with his second book, and it's well worth reading. This one delves into some places that hisPostmodern Magic touched upon. Prof. Dunn here gives technical pointers on the use of language to facilitate magical practice. People might look at this and think, "duhh...," however, most people actually have not given this subject the attention it really deserves. This book is full of "I never thought of that!" moments, and any practitioner is bound to come away from it with new practical ideas. highly detailed, this book fulfills it's claims. a great breakdown of the esoteric uses of linguistics. goes great with Robert Anton Wilson and Umberto Eco! 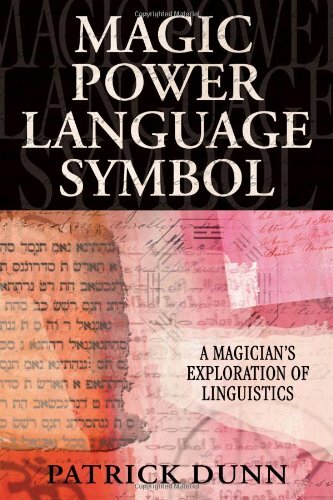 A welcome addition to the growing body of metaphysical literature, "Magic Power Language Symbol" details a linguistic theory of magical and occult practice.Written by Patrick Dunn, a scholar of linguistics and known for his previous work "Postmodern Magic" (not a prerequisite for this book), it deals with aspects of magic that are mysteriously absent in virtually all other treatments.Being someone without any prior knowledge of linguistics, the book opened up a world of ideas that, had I not been interested in theories on magic, would have probably been ignored; and to great detriment, since I now see how pervasive language is in all aspects of life. One must wonder after reading this book: why do most books on magic ignore the importance of words?True, there exists explanations on why specific words are present in rituals-- various God-names or angelic powers; even techniques like Hebrew gematria or notariqon (words made from acronyms) are dealt with extensively in other treatments.But all fail to explain the power of words on the subconscious mind.Patrick Dunn imparts clear explainations on why words and language are so powerful in magic, and you will also understand the magical power of words. The mystery of words in magic should be obvious to anyone who takes but a moment to consider the magical jargon.After all, a ritual designed to cause some effect in the world is called a "spell".Spelling we know from, well, spelling words.Moreover, a book of magical rituals is called a "grimoire", which is a French term meaning "book of grammar".On top of that, the patron deity of magic is Thoth-Hermes, the God of writing and language. "Magic Power Language Symbol" explains this mystery.It is highly recommended for all interested in the power of words, the use of words in ritual, as well as those interested in theories of how magic actually works.In addition, it is recommended for a general audience, for the very important reason that word-magic can be used against you without you knowing it.Just turn on the news-- you'll see what I mean! After two introductory chapters dealing with theories of symbols and language (linguistics) as they relate to magic, the chapters move on to specific topics, and can be read independently.The middle chapters treat incantations, sigils, Enochian, speaking in tongues, Qabalah (that is, literal Qabalah-- gematria, notariqon, temurah, etc. ), and mantras.The final two chapters are the best and are probably some of the author's finest ideas.Chapter nine deals with myth and metaphor, detailing how they inform the magical consciousness.Chapter ten explains the power, positive or negative, of self-talk-- that is, how the internal dialogue we use actually programs our subconscious mind, which can give us disturbed feelings if used negatively, or else empowered feelings if used positively.This final chapter would be very beneficial to anyone who may be going through therapy or taking medication and wants to find a more empowering way of coping.These techniques are non-ritualistic, so could be profited from by those who do not consider themselves magicians. The only drawback is that the practical exercises are relegated to an appendix at the back of the book.I didn't really notice them until I finished the book, and was disappointed by this, since I would have liked to have seen them at the end of the chapters instead.However, there are discussions that hint at practical techniques spread throughout the text.It must be given praise, since it could have been written in a very abstruse style, coming from a linguist, but it is actually very readable.Overall, a fantastic book, recommended to all, and may even become a classic. The author covers the basics of linguistics, touches on chaos magic, and briefly explores some older magical alphabets, particularly Enochian. There is little here that any language major or well-read layman hasn't encountered on alphabet formation, language families and history, and linguistic theory. Dunn revisits the elements of Jewish magic, skims the surface of Greco-Egyptian necromantic sorcery, and briefly discusses sigilization and its discontents. Metaphor is addressed, but a better understanding of how metaphor lies its way to truth may be better appreciated by reading Lakoff and Johnson's original work. I have never quite understood why matching the letters of the Hebrew alphabet with the major arcana of the tarot is thought to be meaningful. The Judeo-Christian tradition held that Hebrew was both a language of divine revelation and mankind's original form of speech, hence magical. Neither claim could be entertained by any informed person, least of all a pagan. If the author enjoys doodling in Hebrew, so be it. Whatever works. For those with little or no interest in Hebrew, however, some sections of the book can be skipped. It is my guess that orthodox Jews invested so much energy in playing speculative games with the Hebrew alphabet because Judaism frowned on representational art. Obviously modern magicians labor under no such restrictions. Give me art over alphabet any day. For those beginning to feel their way through the magical maze, this book offers some useful information and tools. Certainly our (mis)use of language deserves careful reflection and Patrick Dunn has many relevant if not particularly original observations to make on this subject. Since magic in the Western tradition is tightly language-bound, attention must be paid to the pitfalls. The book is therefore recommended with the above reservations. Noam Chomsky is a renowned linguist who has taught at the Massachusetts Institute of Technology since 1955.He developed a theory of transformation grammar which has changed the study of language.He is also very active in politics and has several books on a variety of political issues. 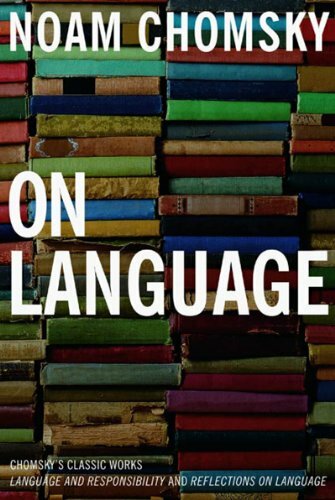 "On Language" contains two of Chomsky's classic works, "Language and Responsibility", and "Reflections on Language", and while these books deal mainly with Linguistics, there are a couple of sections which cover his political thought. "Language and Responsibility" was first published in 1977 in France and 1979 in the U.S., and it is a conversation between Chomsky and Mitsou Ronat, the French transformationalist.While the conversation opens with politics, the greater portion of this book is about Generative Grammar. "Reflections on Language" was first published in 1975 and is an important work in the field of Linguistics.The section titled "Problems and Mysteries in the Study of Human Language" covers interesting aspects such as the philosophy of language and the acquisition of language.Chomsky also spends some time discussing other Linguistic works and where he agrees and disagrees with them. This book would not make a good choice for someone unfamiliar with Linguistics.However, the "Language and Responsibility" section does serve as an excellent introduction to Chomsky and his thoughts.While one may not agree with all of his political positions, Chomsky does provide some excellent points and forces the reader to re-examine their own position.His Linguistic theories are important to any study of the subject, and "Reflections on Language" is probably the best way to learn about his position. Cognitive linguistics is a relatively new discipline which is rapidly becoming mainstream and influential, particularly in the area of second language teaching. 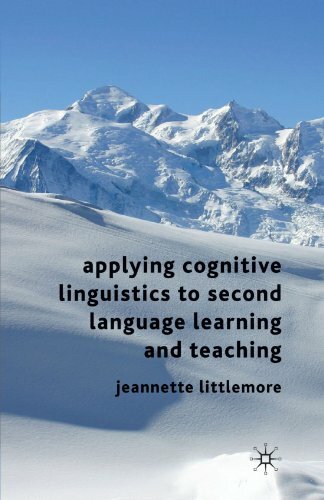 This book looks at how cognitive linguistics can inform our teaching, and lead to intriguing suggestions for alternative ways of presenting grammar and vocabulary in the language classroom.